Drive E8 from Tromsø towards Nordkjosbotn, but turn left at Fagernes on the road signed for Breivikeidet (where the ferry crosses to Lyngen). A few kilometer before Breivikeidet, a road forks right with sign for Sjursnes. Take this road. 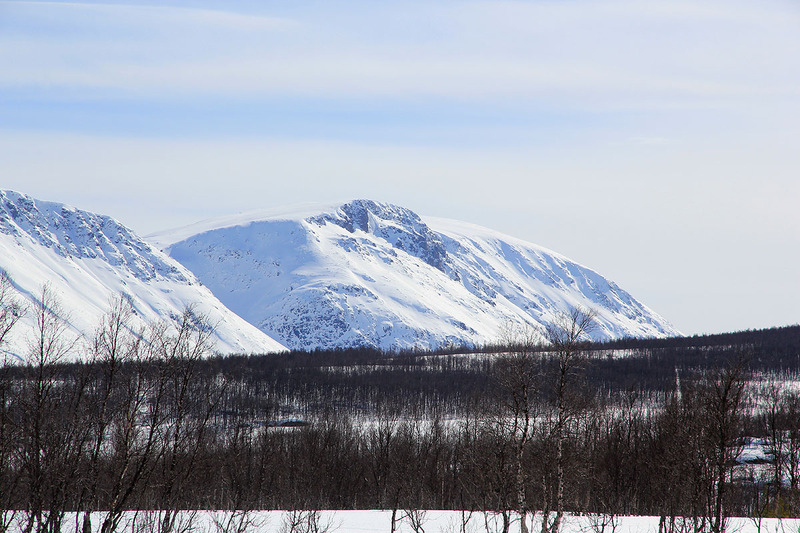 You will soon see the slopes from Nakkefjellet on your left hand side. 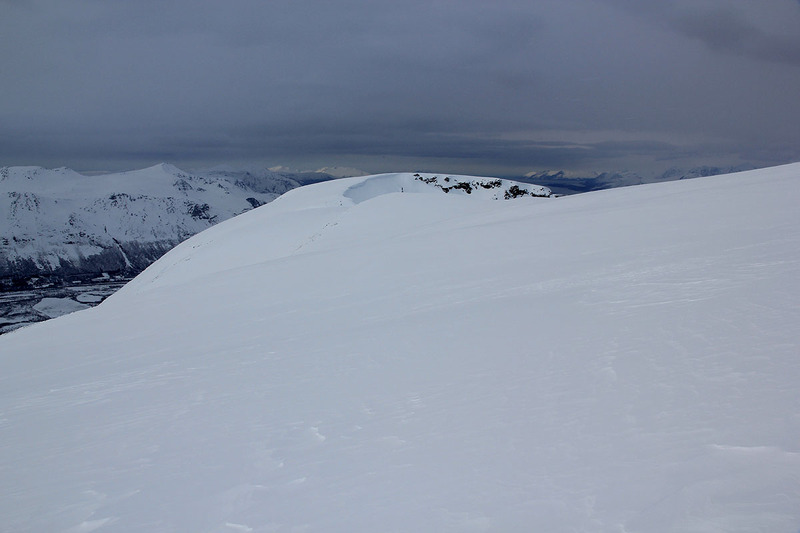 This slope has a single, distinct cut, a small steepish valley that is easy to locate. This valley is Vargedalen and the route runs up there. Find parking on a small turnout on your right hans side just before a small bridge. This location is N69:35.563, E019:34.749, elevation approximately 170 meter. Head directly through the sparse birch forest towards the right hand side of the valley, ie. you shall be on the right (south) side of the creek that runs downhill in this valley. 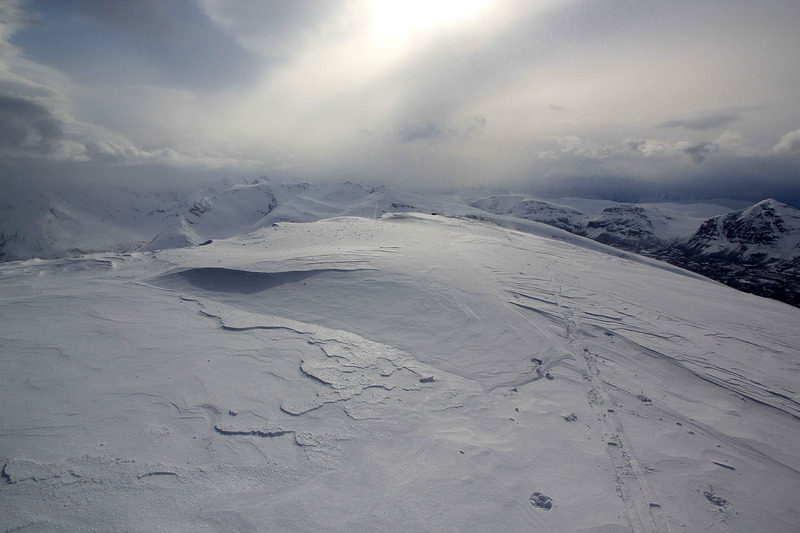 In the spring, it is very possible that you will see traces of other ski tracks. 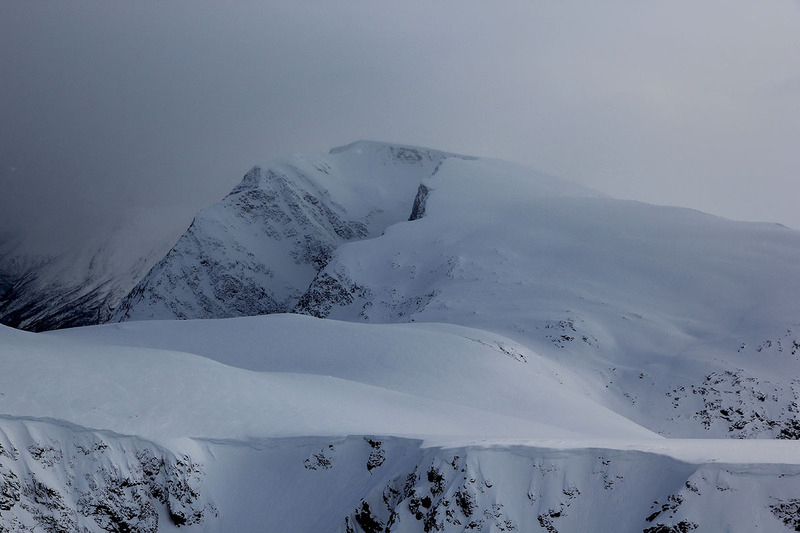 The slope above is steep enough that there may be avalanches, consider this risk before doing this trip. The slope is wide and gradually gets steeper until it tops out on a small, rocky area just below the cliffs on your right. There is one steep section just above, before the slope becomes more gentle as you enter a small basin or hanging valley. Continue about halfway, then angle left (that is ascend north) and find a good line in moderate terrain that climbs to about 780 meter of elevation. Above this level, the slopes are again very gentle. 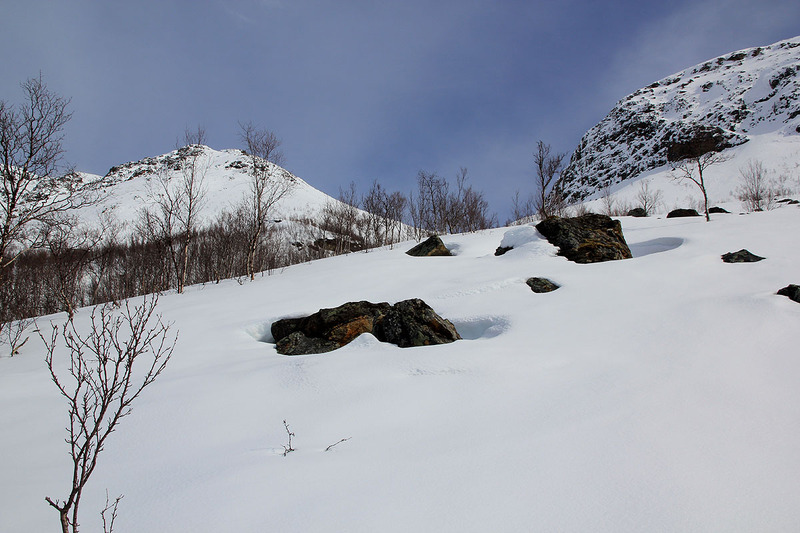 In order to climb Karltinden, one just continues north, while the route to Lavangstinden now curves right and descends to the col, while staying just above the steeper slopes on your right /west) side. From the col, ascend the broad slope and approach the cairn from the west at the very end, thus avoiding the cliffs and possible cornices along the east side. I did this climb solo. I left the car at 1425 and it took me slightly more than 2 hours to reach the gentle slopes around 800 meter. I carried the skis on the upper steepish section as my skis (with skins) snowballed terribly. This in turn, resulted in no grip and side-wise sliding. There were traces from old avalanches (coming from the steep cliffs higher up) along the route. I first skied to Karltinden, 1206 meter, arriving there at 1725. Next, a nice ski along the downhill slopes to the main saddle before the final ascent. Unfortunately, the weather turned a bit worse and all visibility was gone. 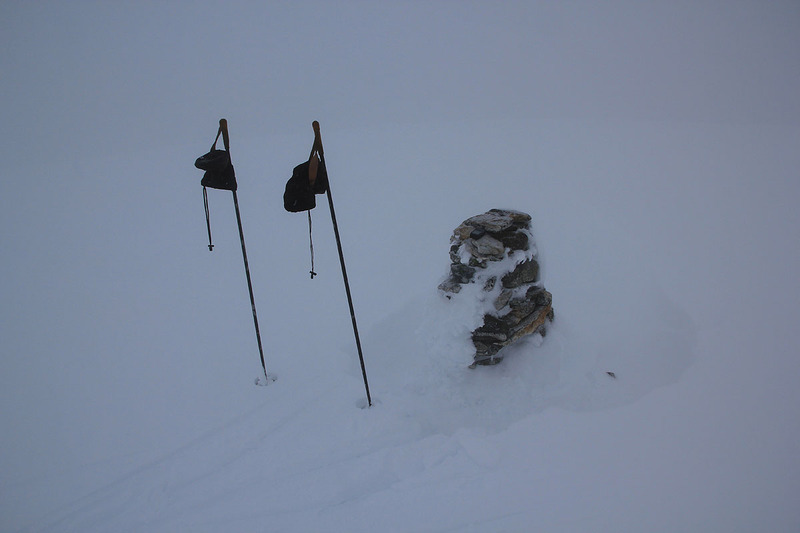 I navigated carefully in white-out conditions and arrived at the cairn at 1920. The return trip was mostly uneventful. 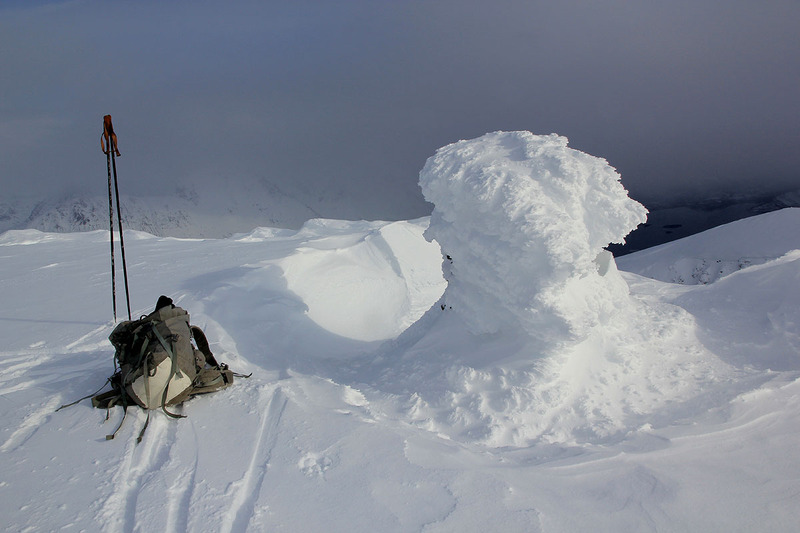 A small avalanche had covered my tracks on the upper, steepish part. Interesting, it ran about a half meter deep and would not have been really dangerous, if it had hit me. I was back down by the car at 2100. Note that there is another Lavangstinden nearby, with about 230 meter of prominence. Lavangstinden, as seen from Karltinden. Hamperokken, as seen when driving to Lavangstinden from Tromsø. 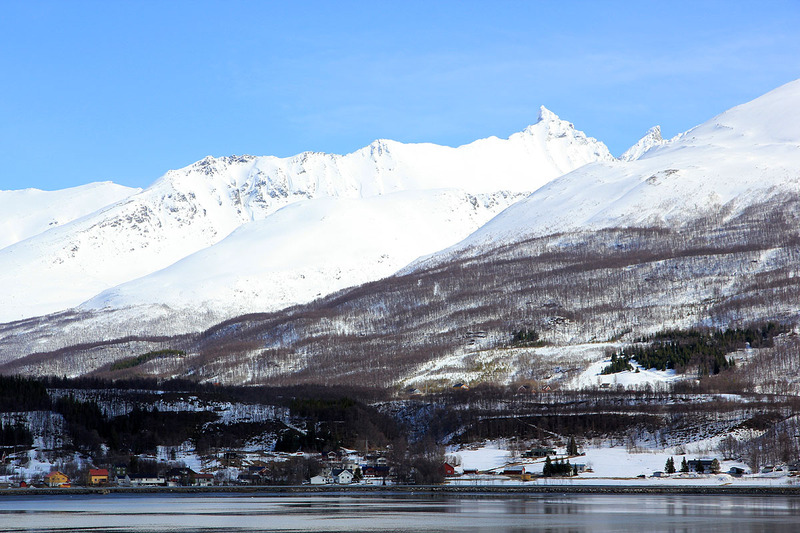 Lyngen, as seen when driving to Lavangstinden. Lavangstinden, as seen from the road. Vargedalen in the middle. The main ridge, continues north, Karltinden is off to the right here.